The Gun Violence Awareness Month Community Input Session will include an update from the RPD on the status of gun violence in Rochester. 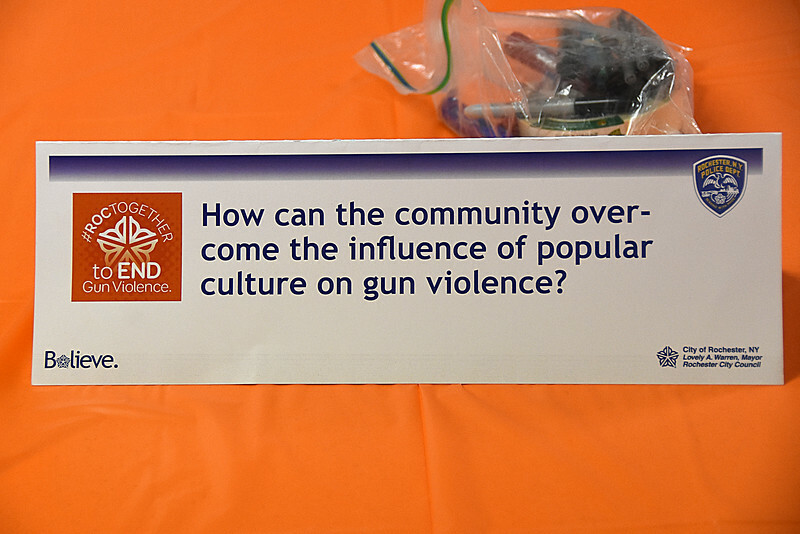 Afterward, participants will work in small groups to develop ideas and initiatives to generate more community involvement in the fight against gun violence. Rise Up Rochester, Inc. is a nonprofit that empowers the community to establish and maintain a nonviolent culture and provides support to crime victims and their families.